Since fish, coral and other invertebrates are native to different regions throughout the world, the water parameters they thrive in also vary. 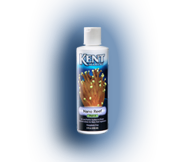 KENT Marine Buffers and pH Control products help to pin point and maintain proper pH levels for almost any aquarium setting. Alkalinity, dKH, carbonate hardness are all synonymous with buffering capacity. 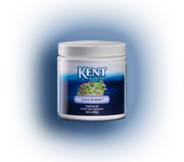 Buffering capacity is the measure of water alkalinity and helps prevent sudden changes in pH. This should be the first water parameter to monitor before adjusting pH. pH is the amount of hydrogen and hydroxide dissolved in the water. It is measured on a 14-point scale, where 1 is the most acidic, 14 is the most alkali or basic, and a reading of 7 is neutral. 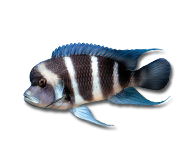 Aquariums have natural, fluctuating pH patterns that are usually lower during the evening and higher during the day. 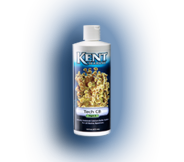 It is important to determine the optimal pH level for the desired aquatic environment. 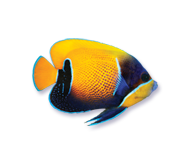 Incorrect levels can cause stress to aquatic life and if left unchecked, biological compounds and overall aquarium health can become toxic. 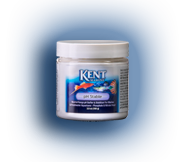 In marine aquariums, the type of calcium supplement being used can also have significant impact on pH. Supplements like Kalkwasser can cause pH spikes and Liquid Calcium Reactor can increase buffering capacity. 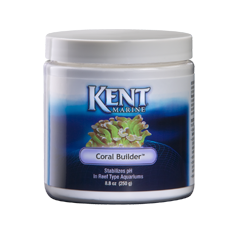 Coral Builder raises alkalinity, stabilizes pH, and prevents pH drop. 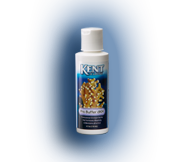 Under normal circumstances will not increase pH and is formulated to have minimal impact on calcium, magnesium, or strontium levels. Borate free.